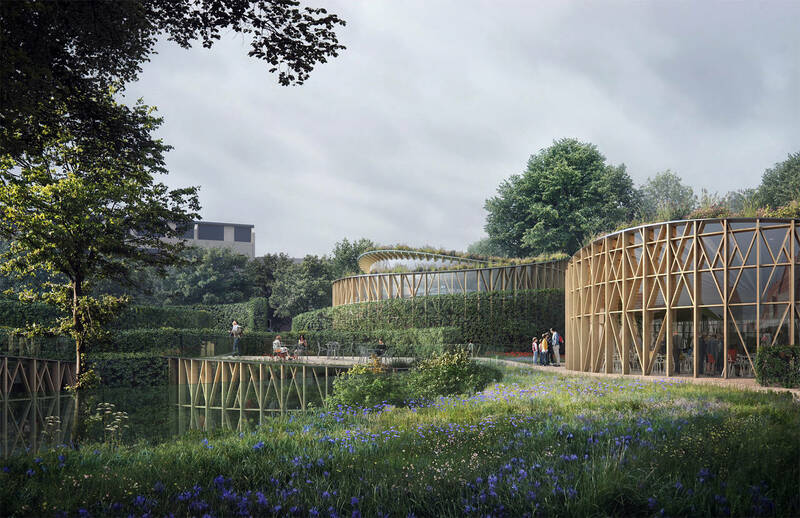 Kengo Kuma & Associates has won the first prize for the international competition to design the H.C. Andersen’s House of Fairy Tales in Odense, the city in which the Danish writer was born. 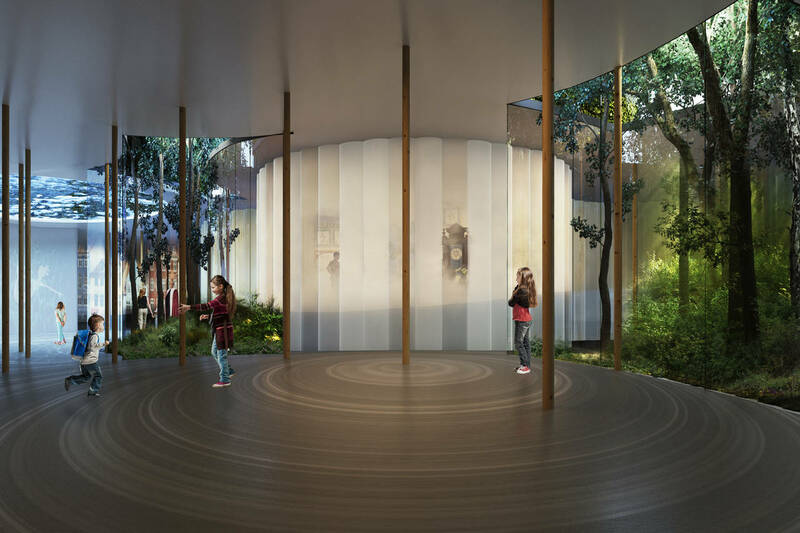 The site is undergoing an intensive renovation process as it will house both the museum dedicated to Andersen, the Tinderbox cultural center and ample spaces featuring gardens. 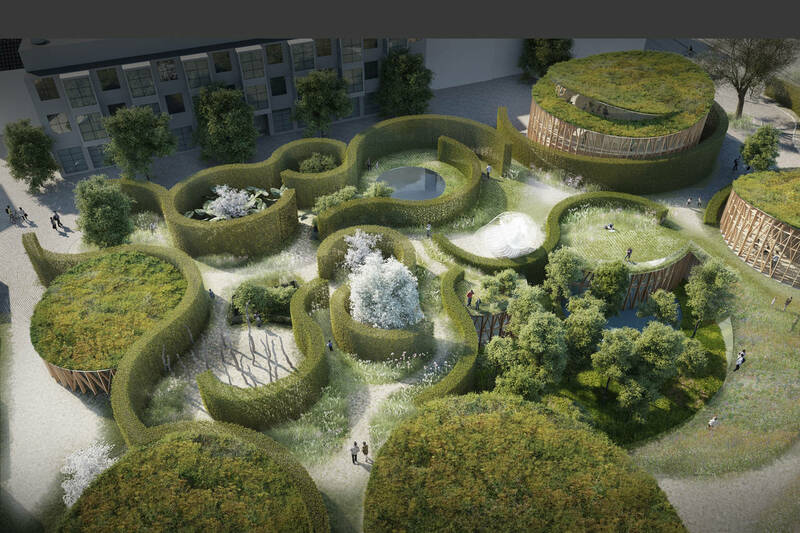 Garden, buildings and exhibition spaces are mixed and connected together to form the complexity which belongs to the fairy tales world. 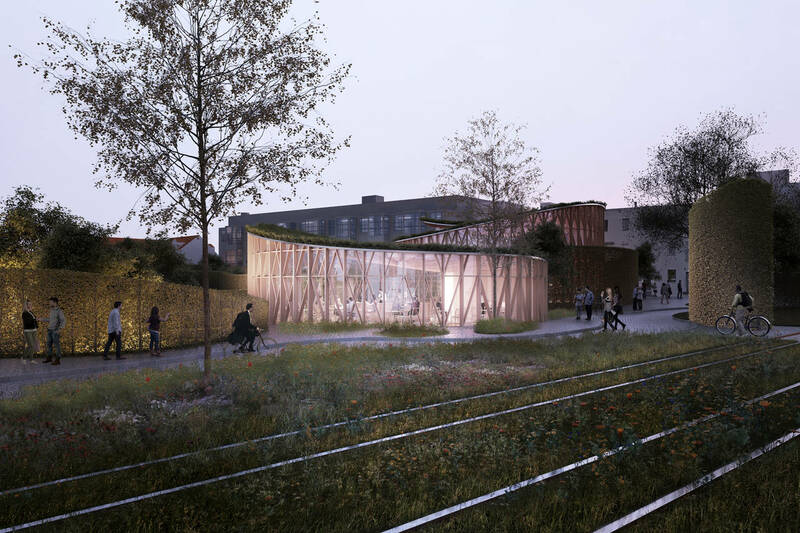 The visitor, despite the location of the museum in the city centre of Odense, will feel the immersion in a completely different context. 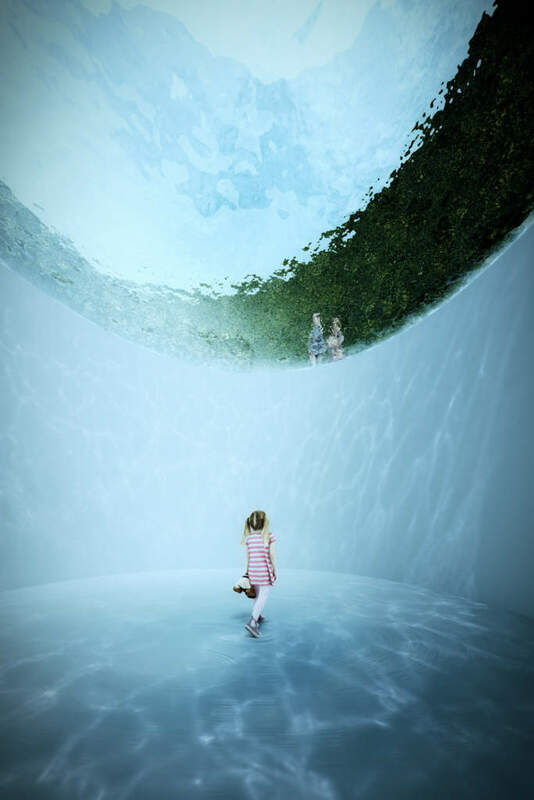 Most of the exhibition is located underground, but there is a moment of connection between the underground and the outside, between two worlds as it often happens in fairy tales: a secret sunken garden at the underground exhibition level allows the visitor to have a visual appreciation of what is going on outside, on the above the ground green area. 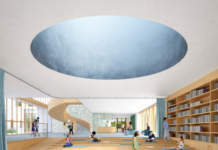 Above ground the program is organized to adapt the buildings/pavilions to the scale of the surrounding buildings; various pavilions house the Tinderbox cultural centre, the cafeteria and the foyer which integrates the green roofs and the sloped geometries of Andersen's place of birth and memorial. 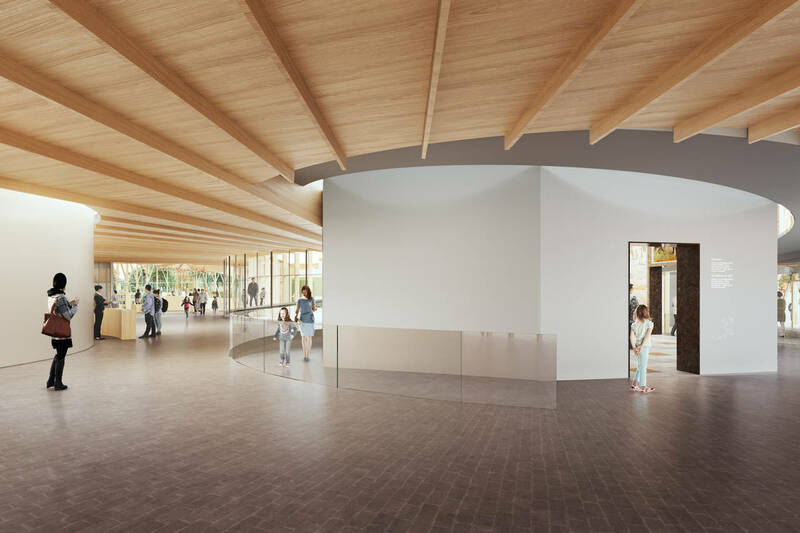 The wooden and glazed façades are a clear reference to the tradition of Danish timber construction. 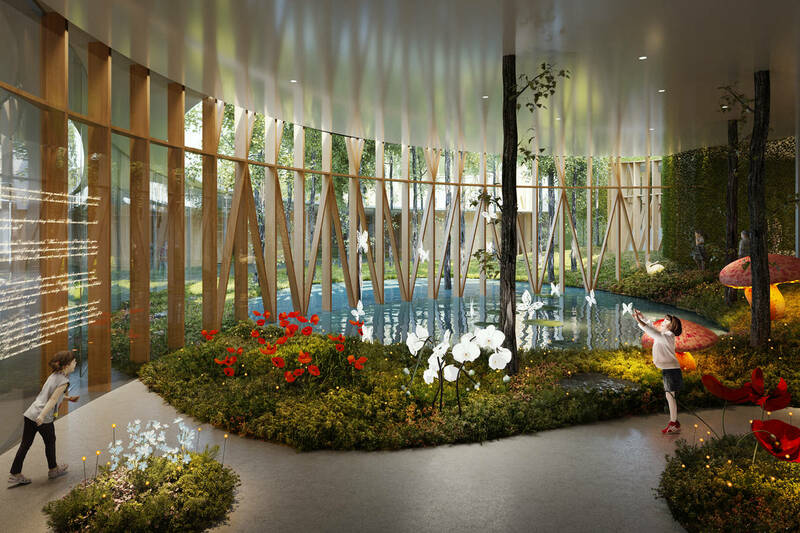 The wooden structures remind the phytomorphic forms of trees branches rising to the sky. 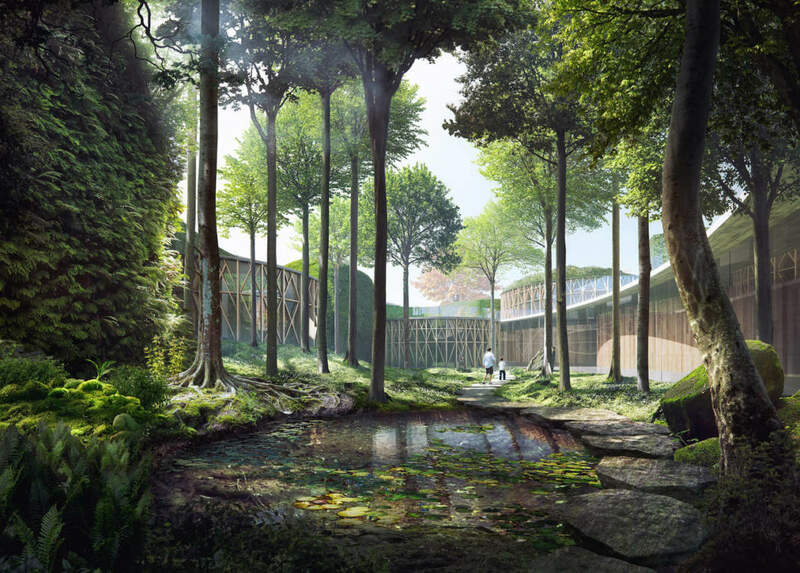 Gardens, lakes and pavilions integrate greenery and they shape a kind of labyrinth that allows visitors to immerse themselves in one of the many fairy tales of H.C. Andersen. 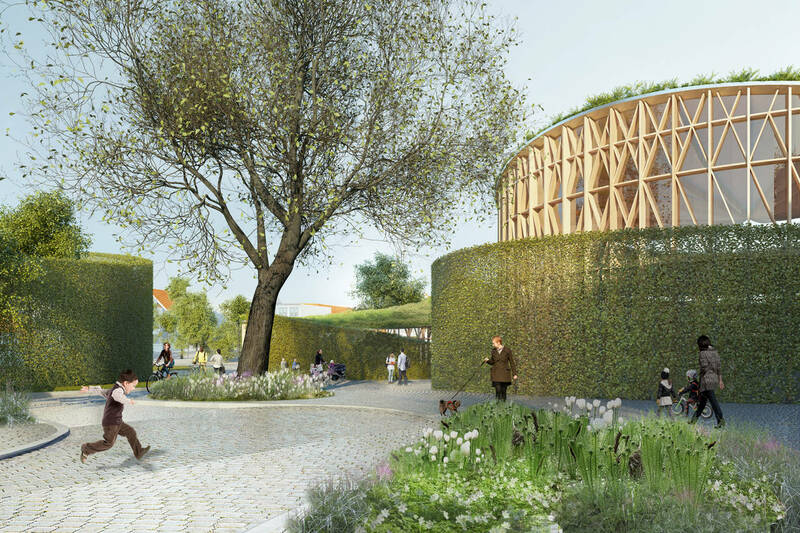 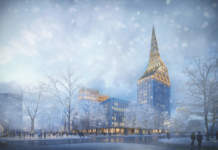 The project was designed in collaboration with Cornelius+Vöge Aps (Associate Architects), MASU Planning (Landscape Architects) and Eduard Troelsgård Engineers,it is expected to be completed in 2020 and it will be KKAA’s first building in Denmark.